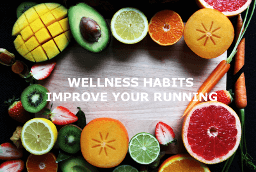 Whether you have a New Year’s resolution to get in shape for a race or you want to set a personal record in 2019, in order for you to achieve your goals, it’s essential that you stay healthy so you can continue your training and improve your running. Practicing healthy habits isn’t as simple as eating plenty of vegetables and getting 8+ hours of sleep each night. I wish it was that easy, but the reality is that life gets busy, we start “burning the candle at both ends” and eventually we lose focus of our wellness habits. Even if you do have a few “bad days,” don’t beat yourself up. Having a piece of cake once in a while isn’t bad for you, it’s having cake everyday and not exercising to burn those calories off, that will lead to declines in your health. Do what you can from the following list. Obviously the more healthy habits that are a part of your daily routine, the better. Without proper rest, your mind and body can start to suffer ill effects rather quickly. Lack of sleep leads to depression and anxiety as well as confusion and overall cognitive impairment. When you don’t sleep enough, you just don’t feel like yourself, so be sure you are getting plenty of shut-eye. Have a sleep routine, and stick to it. Going to bed on time is one way to improve your mental wellness. Because sleep is crucial for restoring your body and your mind, you must value this activity. Going to bed and waking at the same time every day reinforces your body’s natural sleep-wake cycle, which means you are more likely to sleep better and longer. Your diet has a profound effect on your mental wellness. Not only can eating unhealthy foods affect your body, but they also disrupt your sleep, rob you of energy, change your mood, throw your hormones out of balance, and lower your immune system. All of these can leave you feeling lethargic, sad, and confused. Focus on eating healthy foods, including those high in vitamins and minerals as well as healthy fats (like fish, avocados and nuts), which your brain needs. The fatty acids found in cold-water fish, flaxseed, and other foods are not only good for your heart and gut but also your brain. Omega-3 fatty acids reduce depression and lower the risk for dementia. Drinking too much soda increases your risk for type two diabetes by as much as 26 percent. People who drink sugary drinks such as soft drinks tend to weigh more and have poor eating habits. Add some more fruit to your diet. Fruits provide access to fiber, vitamin A, vitamin C, and potassium and folate. Vitamins are necessary for the overall function of our body. They contribute to the repair of skin, hair, nails, and organ function. Do not skimp on your veggie intake. 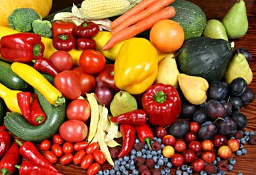 Vegetables are full of vitamins and minerals which help to lower blood pressure, promote digestive health, protect our heart and contributes to our eye health. Aside from containing omega-3 fatty acids, nuts are an excellent source for magnesium and vitamin E. Which nuts are the best? Almonds, macadamia nuts, and pecans are among those who appear to offer the best benefits. Water intake is essential for good health. Water improves the function of our kidneys, serves as a cushion for our spine, supports hydration, and can prove beneficial to those trying to lose weight. Need to improve your cholesterol levels? Try consuming barley, oats, nuts, apples, grapes, citrus fruits, and beans. Aim for foods that are rich in sterols and polyunsaturated fats. These substances are important for blocking cholesterol absorption. Protect your heart health by heart-healthy foods. Salmon, blueberries, dark chocolate, lean meats, soy, citrus fruits, extra virgin olive oils, nuts, and legumes may boost your heart health. Change your diet to lower blood pressure. Try to eat foods that contain magnesium, potassium, and calcium. Pomegranates, pistachios, olive oil, dark chocolate, bananas, oatmeal, and beets may help you control your blood pressure. Consistency will be critical for success. If you’re in search of the best foods to give your metabolism and energy stores a swift kick, try adding lentils, fish (i.e., tuna, salmon), eggs, chia seeds, oranges or green tea to your diet. Processed foods are high in sugar and contain large amounts of high-fructose corn syrup. They can produce devastating effects on the body over a period causing heart disease, obesity, cancer, and diabetes. Apple cider vinegar with water can offer a wide assortment of health benefits including a reduction in high cholesterol, weight loss, improvement in overall cardiovascular health, liver function and reduce the risk of cancer. I discussed this in an earlier post. Goals provide you with a purpose and sense of direction. Set a few critical, meaningful, and attainable goals for your personal or professional growth, and devise a plan that will help you achieve them. Keep working regularly to make progress toward reaching these. Strength training for runners won’t bulk you up and slow you down as long as you complete runner-specific training that emphasizes movements that directly correlate to running performance. I discussed some of the exercises I completed during my marathon training last year. Increased strength contributes to improved running because it can help improve your form when later in races when you’re fatigued. Strength training can also assist in preventing injuries because you have stronger muscles & tendons. Completing strength and conditioning exercises regularly is a proven way to make your body more resilient to the demands of running. In order to help prevent injuries, make Active Isolated Stretching (AIS), rope stretches & foam rolling a part of your daily routine. It’s essential to maintain your flexibility with a set of simple daily exercises. You should also include activities that will relieve muscle soreness and speed the healing & recovery process after your workouts. To avoid the rush of the morning preparations, prepare as much as you can the night before. Pack lunches, lay out clothes, place workout clothes in easily accessible places, and make sure devices get charged overnight. Having a morning routine and help you get your day started smoothly and eliminate unnecessary stress. One of the keys to completing your training is to plan ahead. You may have a schedule and know which workouts to complete each day of the week, but the key to actually finishing each workout is to plan when during each day you will workout. I provide a number of proven strategies to help plan workouts. Whether it’s first thing in the morning, at lunch or after work, plug your workouts into your calendar like a meeting and do your best not to allow any changes. When you start missing workouts due to a busy life, it can get discouraging and very difficult to get back on track. Fad diets do promise results, but some have health risks tied to them or they’re simply not proven for long term health. Keto and fasting may yield results initially and result in immediate weight loss, but those results may prove difficult to sustain and even later contribute to higher weight gain. A balanced diet has stood the test of time as the best way to lose and maintain a healthy body. Follow my recommendations above regarding diet and you won’t go wrong. Complete exercises to keep your glutes strong. Glutes are arguably the most important muscle group for runners. Studies link glute weakness to achilles tendinitis, runner’s knee, iliotibial (IT) band syndrome and other common injuries. Read my comprehensive post about glute weakness and how to strengthen your glutes. It’s almost the new year, so you’ll start seeing a lot of commercials for dieting and ways to improve your health. 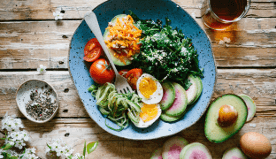 Although eating more “greens” is a step in the right direction, there’s a lot of things you can do to help improve your diet. Whether you want to enhance your nutritional practices for health reasons, weight loss purposes or as a personal goal, there are many ways to sensibly accomplish your goal. Following are a few of my favorite. If you’re training for a race, you’re going to have to fuel properly. Each of the following recommendations will help. Take time to evaluate the number of calories you are drinking in a single sitting. Some drinks contain as many as 150 calories in a single serving. Multiply that by three, and it’s easy to consume one-third of your calories for the day by way of beverage. Fruit is an excellent way to boost your fiber intake, protect your immunity, and get a pretty steady dose of antioxidants. Get your veggies every day. Vegetables are a wonderful source of calcium, fiber, and antioxidants and can protect you from multiple diseases and illness. Stay away from those fried foods as much as possible. They may be tasty but are not suitable for your diet or body. Baked or grilled foods tend to carry less fat which is good for the heart. Make a grocery list before you visit the grocery store. Drafting a grocery list will save you from buying unnecessary foods or beverages. A healthy diet should not equate to deprivation. Allow yourself to indulge in the foods or meals you like from time to time. This action will enable you to avoid binge eating or experiences feelings of guilt. This is tough, but is one of the best ways to improve your diet. So many processed foods such as cookies, chips, cereals, anything in a wrapper, sodas and especially candy can adversely affect your long term health. Processed foods contain a large amount of sugar, chemicals, high-fructose corn syrup and most important, they hold a large number of “empty” calories, salt and fat. The bottomline is that the combination of ingredients in processed foods, if consumed regularly, have been proven to increase the odds that you’ll suffer from heart disease, diabetes, obesity and stroke. Your digestive tract loves fiber. Fiber supports the efficient movement of material through your system. Fiber also helps your stomach to feel full after meals and has proven to be useful in promoting weight loss. Calcium is necessary for bone health, heart health and muscle function. Make sure you eat a diet that contains low-fat dairy and green leafy vegetables. Water assists with digestion and can support weight loss efforts. Obviously water has no calories and consuming it regularly ensures proper hydration. There’s countless studies about the value of a vegan diet. I think the key to this diet is ensuring you consume sufficient protein. In fact, the best rule with any diet is keep your diet balanced. Go vegan for a day! This decision will not only help to boost your veggie intake, but it will add variety to your diet. I’m totally on-board with this one. I love coffee. Numerous studies contradict each other regarding whether or not coffee is good for you. Other research shows that coffee provides stimulation for the mind, promotes heart health and boosts your metabolism. I think this habit of tracking your meals, can help you to subconsciously get your arms around the foods you are eating and promote a healthier approach. Fish contains omega-3 fatty acids which are a complete plus for the brain and your body. Cold water fish are a great source of healthy fats. Salmon is my favorite, but Tuna Steaks a good alternative. Omega-3s help to reduce your risk of having a heart attack or stroke. Disclaimer: This post is for informational purposes only and is not intended as medical advice. Medical advice should always be obtained from a qualified medical professional for any health conditions or symptoms associated with them. Every possible effort has been made in preparing and researching this material. We make no warranties with respect to the accuracy, applicability of its contents or any omissions. By Nuun Guest Blogger Jesse Kropelnicki of The Core Diet. Even if you have never had a “cramping problem” in the past, neglecting electrolytes in training and racing could be compromising your results. Just like you wouldn’t wait until you were dehydrated to drink fluids, waiting until that first “cramp” is a signal from your body that your performance has been suffering for quite some time. Electrolytes play a crucial role in muscle function, adequate hydration status and digestion fluids during racing. In other words, it’s a term for minerals that, when dissolved in water, break into positive or negative electrically-charged ions (anions or cations). Do you take electrolyte supplements before or after your run? 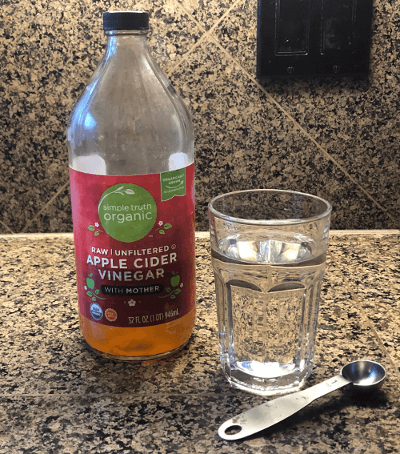 However, repeated days of moderate or severe sweating can result in such substantial electrolyte loss, particularly sodium because of its high concentration of this mineral in sweat. When electrolytes are lost too quickly, the body does not have the ability to restore them as rapidly as they were lost. In these situations, dietary mineral intake is generally not sufficient to compensate for these large losses, and supplementation is needed to replace these electrolytes in order to maintain concentrations of body fluids. What are the major electrolytes in the body and what do they do? Electrolytes are lost through urine and sweat. Endurance athletes can lose large volumes of sweat on a daily basis, which is accompanied by a similarly large electrolyte loss. Each athlete has different electrolyte (and fluid) needs and environmental conditions of training and racing will factor into this. Average sweat rate is typically 1 – 1.5L of fluid per hour (32 – 48 oz.) and 1,000 – 1,500 mg of sodium per hour while running (a bit less when cycling). Most people’s sweat contains about 500mg of sodium per 16oz. Very salty sweaters can have up to about 1,500 mg per 16 oz. of sweat. Sweat rate will depend on several factors including environmental conditions (temperature, humidity), genetics and the athletic fitness of the athlete. In most cases, muscle cramping is related to either sodium or magnesium deficiency in athletes. If a deficiency occurs, cramps, tremors and spasm can be present. It is the Core Diet’s experience that acute occurrence of cramps during racing is typically due to sodium loss, and more chronic cramping (even between activity, during swimming or while sleeping) is typically due to magnesium deficiency. Another sign of sodium related cramping is a sloshy stomach. Another electrolyte, magnesium, is key in avoiding muscle spasms. A muscle “twitch” is usually a sign of low magnesium levels. Having proper sodium balance during digestion is important to fluid absorption. Have you ever felt tingling fingers during your racing? If you have, you probably are experiencing a potassium deficiency. Many times a simple half banana available on many race courses can fix this problem before it impacts race performance. Electrolytes help to increase the absorption of fluids into the bloodstream, and your muscular system operates efficiently which is why the best hydration plan is one that includes these minerals. Using products such as Nuun Active Hydration (electrolyte-enhanced drink tablets) before, during, and after workouts can go a long way to replenish electrolytes and achieve your best performance. See below for Kelly’s “Long Run Sandwich Bites” Recipe. For every nutrition question you have, there are at least ten expensive nutrition products on the market that claim to have the answer. It’s easy to be overwhelmed. Luckily, good running nutrition can be broken down into a few simple principles. Thumbs up for good nutrition! 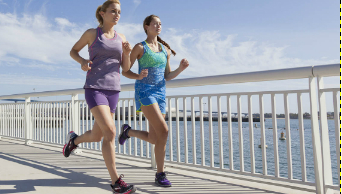 Guest Blogger Kelly Egan breaks down nutrition basics for runners. Based on body weight, a typical athletic diet should be about 60 percent carbs, 15 percent protein and 25 percent fat. To get ready for a race, “carbo load” by bumping up your carbohydrate intake for three to four days before the event. Keep a food and workout diary if you make any changes to your diet to help you figure out what works for you. Many runners have questions about supplements – which to take, how many, at what times, etc. Skip those expensive pills and powders and spend your money on fresh fruits and vegetables instead. A varied diet will provide all the vitamins and essential nutrients that your body needs. Plus, your body is able to absorb nutrients better from food than pills. Fun fact: Consuming beets, a source of nitrate, has been shown to increase athletic performance! There is a belief that high amounts of protein, especially protein powders, improve muscle growth. A benefit to this has not been shown – excess protein is simply converted into energy – or fat. Save your money! Immediately after your run, enjoy an ice-cold glass of low-fat chocolate milk! It has a 4:1 carbohydrate-to-protein ratio and has been proven to help the recovery process. For an added benefit, have another glass two hours later – ideally with a healthy, balanced meal. A basic running diet should have roughly 60 percent carbs, 15 percent protein and 25 percent fat – but listen to your body. Consult with a dietitian or nutritionist for best results. Keep a diet and workout log to help you figure out what works best for you. Increase your carbohydrate intake for 3-4 days before a race. Instead of focusing on supplements, eat a balanced diet instead. For a natural performance boost, eat beets! Chocolate milk is an effective and cheap recovery drink. 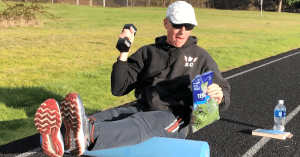 In addition to this brief intro to running nutrition, I’d like to share an easy and nutritious snack to try during long runs. I came up with this idea after getting sick of bad-tasting gels and energy bars with a long list of ingredients that I couldn’t pronounce. Combine all of your ingredients to make a sandwich. Use a knife or mini cookie cutter to cut your sandwich into bite-sized pieces. Pack a handful in a small sandwich baggie to take along on your long runs. Pack these little guys with you on your next long run for on-the-go, inexpensive fuel. Kelly Egan is a guest blogger for Brooks, as well as a member of our Inspire Daily program. Look for more posts from her on running myths in the coming months. Kelly is a fourth year medical student in Madison, Wis. This year, she plans to volunteer in India, graduate from school, get married, honeymoon in Morocco, move across the country and get her first job – in that order. To follow her adventures, please visit runningblonde.com. [UPDATED 1/25/16] The following article about hydration for runners was posted a few years ago. I wanted to update it with some observations from my recent performance at the 2016 Vancouver Lake 1/2 Marathon. Background: A few months ago, I read an article in Runner’s World about 60 year old, Dave Walters. I posted my comments and a link to the article on my Facebook Page. One of the main things discussed in the article was Dave’s commitment to hydration. One of his secrets to recovery was to hydrate before, during and after the race (in this case, the 2015 Chicago Marathon). My results: Yesterday, I completed the Vancouver Lake 1/2 marathon. Although I’ve always attempted to hydrate properly prior to any race and workout, I really made a commitment starting last Friday to get hydrated. Even if it meant that I would have to get up at night a few times, I wanted to ensure that I was properly hydrated. By the time Sunday morning arrived, I knew that I was easily hydrated because I was needing to go every 20 – 25 minutes right up to the race. Although I wasn’t able to drink a lot during the race (only 4 aid stations and I spilt alot), my pre race hydration really helped me, because I felt very strong through much of the first 7-8 miles while maintaining a strong pace.